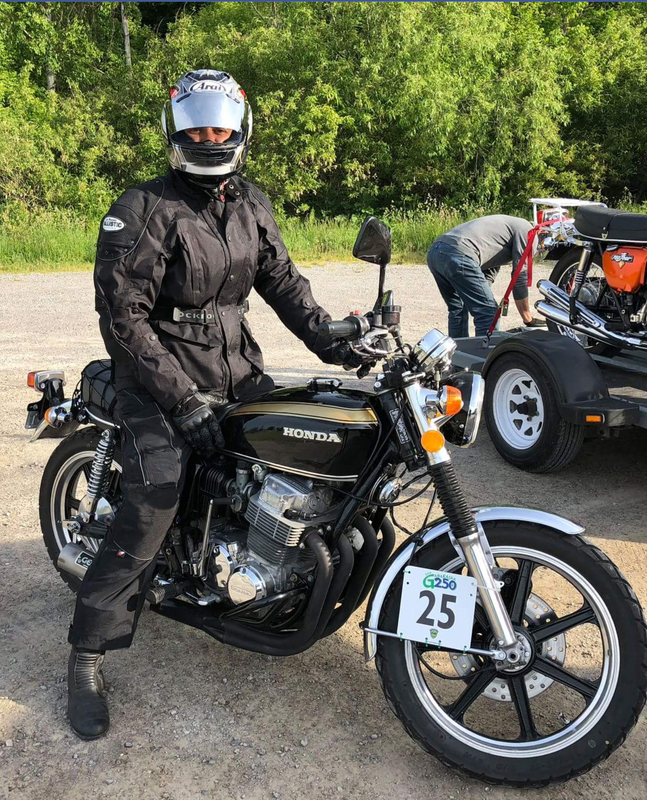 Canadian Vintage Motorcycle Group (CVMG) - Ganaraska 250 JUNE 8th, 2019. 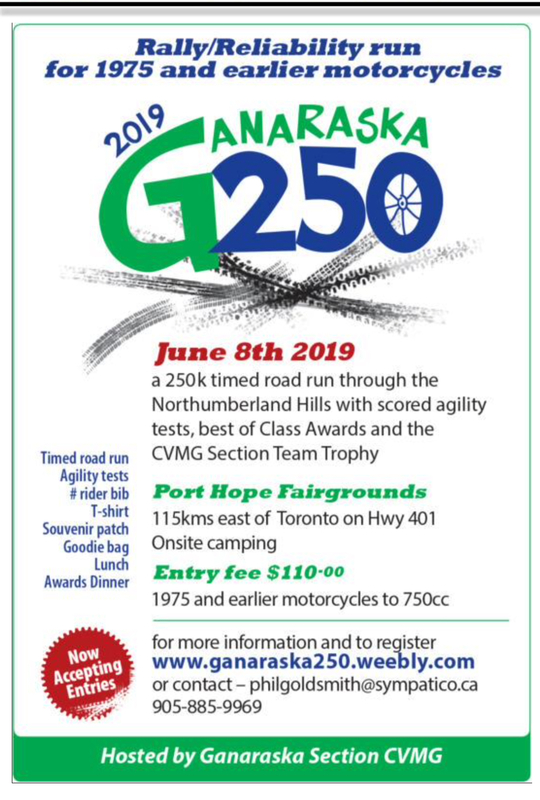 Ganaraska 250 JUNE 8th, 2019. Can't wait to see all the old bikes trying to negotiate my agility sections again! Unfortunately we lost one of our regular attendees this week. Mike White passed away this week. 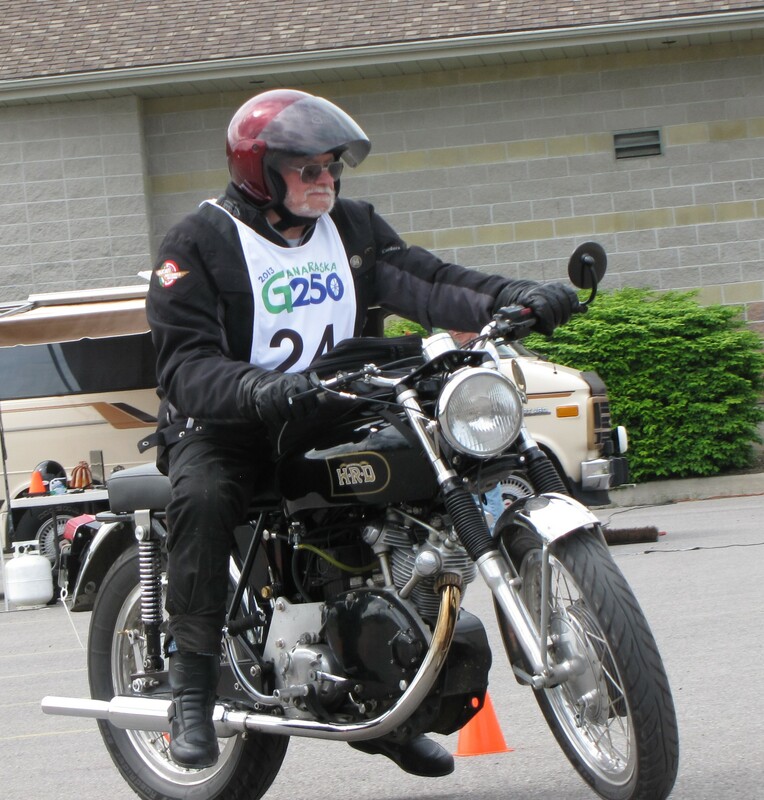 He had attended every year of the G250 and will be greatly missed at this years event. As he said earlier in this thread "Its the best thing since sliced bread!" What better way to start the riding season off than with a little friendly competition! So come out and join the fun this year! It’s time to commit! Get those entries filled in and sent off. Show your support for the best CVMG rider’s event of the season and get it done now. Phil and his Team need to “FEEL THE LOVE”....... Stop procrastinating! Do it today. Please hold spots for Ernie Olivo (Norton 750), Hugh Henderson, Duane Sanders (Triumph 750), Tony Thompson (Ural combination), and Lincoln Pearce ((Triumph 650). registrations and payments will follow ASAP. Ernie......l passed this on to Phil. Thanks!! John D.
Registered today....first time to compete..cant wait!!! More Entry News from Ian T and Eastern Shield today..... THANKS! Craig A., (Touring ).Doug F.and myself. The Ganaraska Section will be displaying 10-12 motorcycles at the Toronto Spring MotorcycleShow, this weekend, April 6th and 7th. 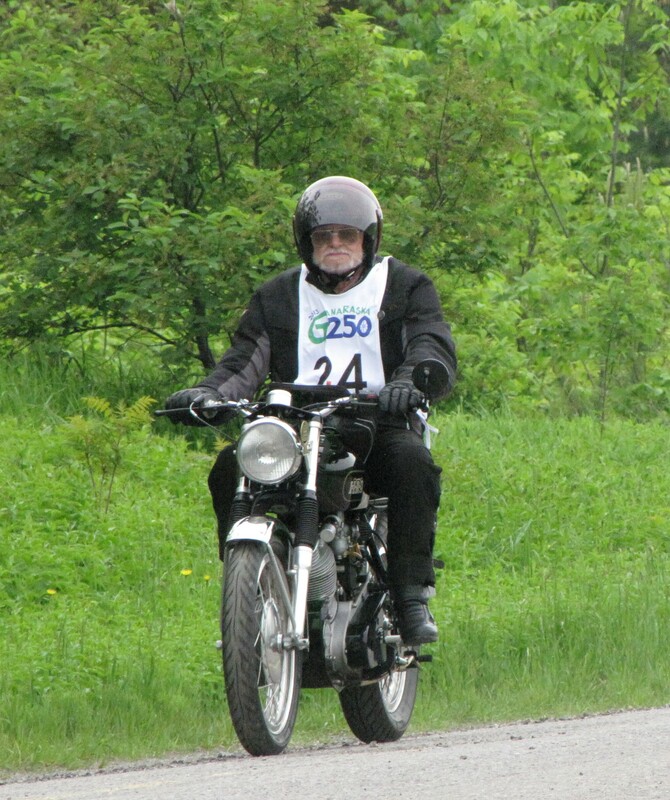 Our “theme” is the Annual Ganaraska 250 Event. Stop by and visit us for more information, eligibility, and entries! See you there! Finally, registration form is in the mail.